Grain elevators are icons of the American prairie. 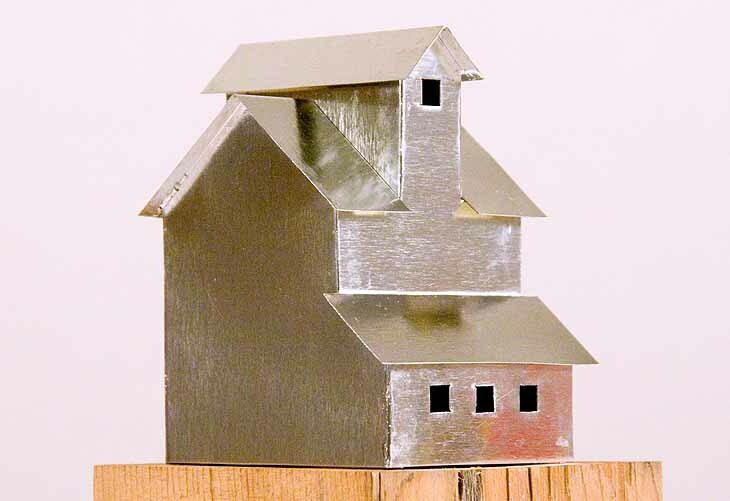 When you make one out of tinplate, you are helping to preserve a bit of vanishing Americana. They also make great little desk accessories! This project can be easily made out of all-silver tinplate, cool printed patterns from cans, or it can even be painted when you’re finished with it.